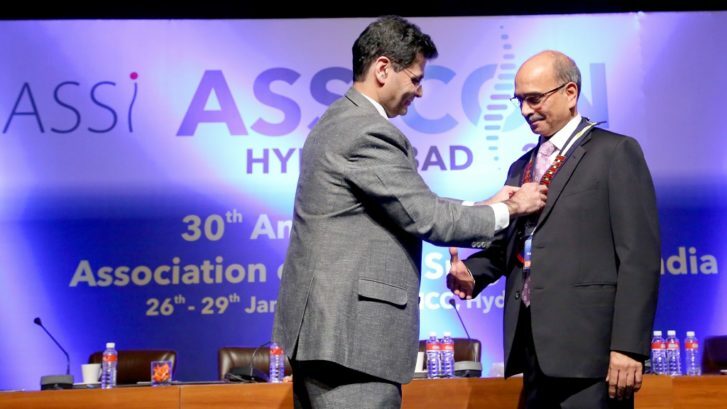 Dr Raghava Dutt Mulukutla, Director Udai Omni Hospital has been appointed President of ASSOCIATION OF SPINE SURGEONS OF INDIA (ASSI), the largest association of ​spine surgeons in India with a membership of about 1500 spine surgeons from all over India. ASSI collaborates with spine organisations world wide to spread safe spine surgery and is dedicated to the advancement of spine surgery and patient care. ​In its endeavor to promote research and better practices in spine surgery, ASSI ​conducts conferences, ​offers ​accredited ​educational opportunities​, ​clinical fellowships at reputed spine centers​, opportunities for both clinical and research work in sub specialties of spine trauma, spine deformities, degenerative and cervical spine issues to spine surgeons. We at Udai Omni Hospital are extremely proud of Dr Raghava Dutt Mulukutla’s accomplishments and congratulate him on his newest honour.